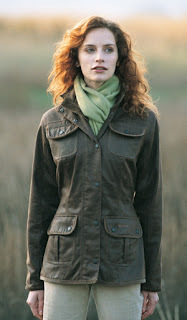 The latest must-have fashion item is the Barbour jacket. They used to be the preserve of outdoor loving aristocrats and rugged farmers but now Barbour jackets have started to pop up in the most unlikely of places; and on the most unlikely of people. Alex Taylor, lead singer of the Arctic Monkeys and described by the NME as “the coolest man on the planet", wore a Barbour Jacket when the band played at Old Trafford. Kate Moss and Sienna Miller donned the waterproof at the Glastonbury festival and Amy Winehouse, Alexa Chung, The Feeling, Editors and Kasabian, to name but a few have all been seen wearing them. So why is the Queen’s favourite wax coat suddenly so rock ‘n’ roll? Part of the appeal for fashion folk is the fact that it’s so functional, comfortable and durable. Made of premium quality materials and fabrics, and stitched to perfection. Barbour Customer Repair Service is always available to their consumers and using this service will ensure their jacket’s life be long and rewarding. And now, there's an added spice to that most traditional of noble brands. Barbour have now woken up to the potential of their brand, not merely as an aristocrat throw on, but as a fashion essential rooted in values of quality and preserve. A product valued for it's effective functionality, combined with a stringent customer service policy, and now on the shoulders of everything 'cool' and 'trendy'. With a new more fitted, fashion conscious range, Barbour is now finally, slowly and gently, allowing it's wings to spread.